Williams, one of the oldest settled areas in Western Australia, is ideally situated about 160kms south of Perth (the capital city of WA), on the Albany Highway and is the "Gateway to the Great Southern Region". From here it's a leisurely two-hour drive to get to either the city, the coast or the South-West. In addition to being a wool, livestock and grain producing area, recent years have seen the town expand in residential building, tourism related development and the establishment of an industrial area. Williams is notable for its magnificent display of "500 roses in 400m" in the main street over the summer and well into the cooler months. 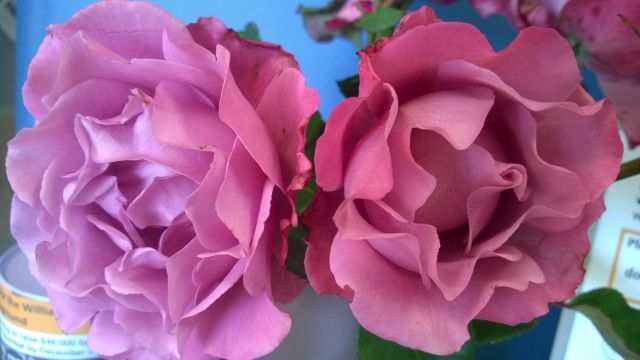 This has become an attraction to visitors, who can often be found admiring, photographing and 'smelling the roses'. Much more than a pit stop for travellers, this friendly farming community has much to offer. Moderate weather conditions are enjoyed with an average maximum temperature of 31oC in January and an average minimum temperature of 6°C in July. The temperature remains in the high 20’s or above between December and February. The average annual rainfall is 566 millimeters with the wettest months usually being June to August. Williams is a small rural community with a total population of 1040 and an estimated 400 living in the townsite. The Shire covers 2,295 km² and includes the localities of Quindanning, Tarwonga, Dardadine, Boraning, Culbin, Narrakine and Congelin. Sporting and Community groups are strongly supported in Williams, where everyone is encouraged to participate. Take a browse through our 'Community Directories' menu above, to see what’s available. If you have just moved to Williams, please call into the Resource Centre in Brooking Street to collect your New Residents' Welcome Package, which provides you with detailed information about what is available in our town, what is happening in our town and who to contact to be part of it. The Welcome Package is free of charge. The Shire office is located at 9 Brooking Street. Office hours are from 8.30am to 4.00pm for DoT licensing, for all other services to 5.00pm. 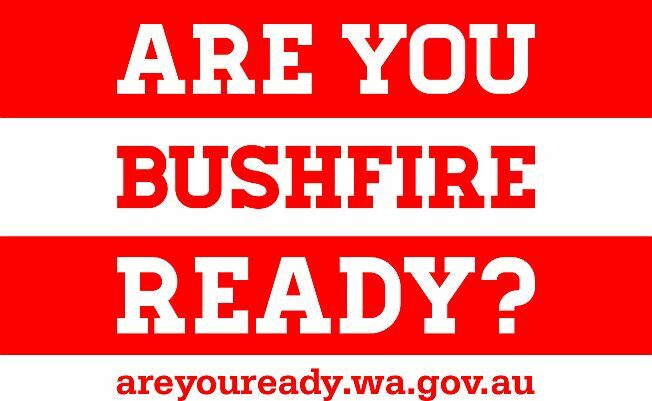 The Shire of Williams advises that no new fires are to be lit from midnight 18 April to midnight 22 April, except for cooking fires. Please extinguish all fires in the lead up to Easter. Intermittent lane closures will be in place south of the bridge over Williams River and north of the bridge over Coaling Creek. Lane closures on the Albany Highway between Richardson Street and New Street for road reconstruction works. Street parking on the Albany Highway will not be possible at this time. Vehicle access to businesses between Richardson Street and New Street will be via side streets only. The intersection of Albany Highway and Brooking Street will be closed with a detour via Richardson Street or New Street. The following businesses will be directly affected: Woolshed, Op Shop, Rural Supplies, Post Office, Telstra, Elders & Pharmacy. On Good Friday, Easter Monday and ANZAC Day – traffic signals in centre of town will be switched to manual mode and traffic controllers will be on site to monitor traffic flow. Commencing Tuesday, 23 April the northern Caltex driveway will be closed to all vehicles. The centre and southern driveways will remain open. Just a friendly reminder the speed limit is 40kmh, please drive to the road conditions and obey all signage and signals. It is hereby notified for public information, in accordance with Clause 2.6 of the Shire of Williams Town Planning Scheme No 2 that an application has been lodged for a service station on the abovementioned lot. Prior to determining this application, the Shire would like to provide the general public with the opportunity to comment on the proposed development. The development plans, report and traffic impact assessment can be viewed at the Shire of Williams, 9 Brooking Street, Williams during office hours. Should you wish to make a submission on the proposal, your comments (in writing) will need to be lodged with Council by 9 December 2018. Please make sure that your submission includes your postal address, affected property address, and preferably an email address so the Shire can readily keep you informed regarding the proposal. For a copy of the Development Application Report, please click here. Nahla has been built out of fibreglass, and therefore has a tendency to attract and retain heat when the sun shines on her. With the weather warming up, it was noticed that she was getting very warm on the side where the sun was shining (on the eastern side in the morning and western side in the afternoon). So when kids climbed on her, they were getting one leg rather warm and this could cause potential injury. In recognition of this, it was decided that a short term solution would be to highlight this potential with signage, and then consider alternative solutions (such as permanent shade) in the future, if required. If you spot any other issues or hazards with the new Park, please do not hesitate to let the Shire staff know. And finally, if you see anyone trying to damage the Numbat with rocks or other projectiles, please let the Shire staff know, as there is already a small amount of damage that has been noted – this will be fixed when the artist visits again in January for the final touch up on-site. The Restricted Burning Period for Williams Shire concludes on Friday 29 March 2019. Please be aware of forecast weather conditions if you are burning to avoid fires escaping. It is fantastic to see so many locals and visitors alike enjoying all the newly redeveloped Williams Lions Park has to offer. It would seem that the favourites are definitely the BBQs, the flying fox, Nahla the Numbat and the all-accessible swing. We have received overwhelming positive feedback on this Project. Residents will have noticed that now that the side track has been sealed for the Main Roads project, that they have allowed access to the temporary carpark making it easier to access the Park from town. Parking is still permitted on the trotting track if need be, however preference is for vehicles to park in the temporary carpark. At this stage, it is unknown what the start the for the bridge work will be, however, access to the temporary carpark and the Park will not be affected, as access has been designed into their proposed works. Planned as part of Council’s budget deliberations for 2019/2020 will be the implementation of an updated information board to replace the old one that was removed from the Park before works commenced. It is anticipated that this board will be built using timber from the old bridge to incorporate a bit of history into the project. The Lions Park redevelopment would not have been made possible without the generous support of our funding and community partners. It was their collective belief in the project that enabled the project to happen. Appreciation is extended to the community partners Ben & Angela Fowler and Bruce & Janine Taylor who donated all the boulders and timber to the project respectively. They were happy to donate the materials, and it is this generosity of our community that makes it a special place to live, work and play. Funding partners were: Building Better Regions Fund ($360k); Lotterywest ($200k); Newmont Boddington Gold ($50k); Department of Parks & Wildlife ($30k); Project Numbat ($26k) and South32/Worsley Alumina ($20k). A small, but dedicated and hardworking ‘Friends of the Williams Cemetery’ group have been working on identifying the unmarked graves at the cemetery as well as reviewing and updating the Shire’s cemetery plan. The group consists of Marie Hardacre, Robin Reed, Manuela Lenehan, Moya Carne, Geoff McKeown and Tony Kett. They have visited other cemeteries to gather ideas for the Williams cemetery; have reviewed the plans and records of the burials; talked to local families about who they remember buried in the cemetery and updated the plans to reflect the new and more accurate information on the burials at the cemetery. Lately there has been much action at the cemetery, with Marie and Robin, together with Cathie Steicke, marking the unmarked graves with renewed gravel and plinths with plaques recognising the person (or persons in some cases) interred in the grave. A new concrete foundation has been laid for the new niche wall to be built early next year; as well as a new demarcation to recognise the Aboriginal burial ground. Appreciation is extended to these community members who are working hard to improve the Williams Cemetery. The Shire of Williams recently participated in the launch of an MOU with the Peel Harvey Catchment Council (PHCC). The MOU formalises the partnership between the PHCC and the Shires of Boddington, Williams, Wandering and Cuballing to provide natural resource management/landcare support to the landowners and community of the Hotham-Williams catchment. Cr Bob Baker represented the Shire of Williams at the launch held in Boddington and appears in the photo with other local government and PHCC representatives. Property owners in the Williams Shire are welcome to contact PHCC Program Manager, Mel Durack, for more information on the natural resource management/landcare support that is available. https://www.watercorporation.com.au/showersong Please click and enjoy. The Shire of Williams is required to publish annually a Freedom of Information Statement, in accordance with the Freedom of Information Act 1992, Part 5, Section 94.
how members of the public may access and amend agency documents. This document is current as at the 30th June 2017. You can find the statement via 'Your Council', then 'Freedom of Information' or by clicking here. The Shire of Williams was featured in a short promotional video for the Department of Regional Development on the funding that was secured from the Royalties for Regions Growing our South funding. The project is the independent living housing project that has seen the construction of 7 units in Williams (50 across the project area of 7 local governments - all managed by the Shire of Williams and totaling over $18m investment over the last 7 years). Special thanks to the Williams local residents who agreed to be filmed as part of it.